Greece and China are volatile right now. Yes, we all know that markets go up and down, back and forth, and sometimes sideways, but daily changes usually end up within a 1%-2% range. So when an index moves 4%, 5%, 6% or more in a single day, and especially when those movements are downwards, it can raise anxiety, concern, and sometimes blood pressure along with an abundance of questions. Common questions are typically. Is this another 2008 approaching? Do I need to sell out of my holdings immediately? Or should I look to buy in while the prices are lower? Depending on your goals and what type of investor you are, the answers may vary widely. Regardless, the most important thing is to act rationally, which usually means not doing anything right away. Impulse reactions can be a major downfall if you don’t give yourself the time to analyze the situation and how it relates to your goals. More often than not, we find investors putting themselves at a disadvantage by letting panic and fear or greed and overconfidence be the prevailing factors for making their decisions. 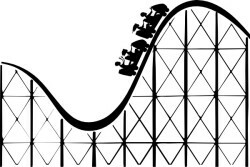 The graph below is a good example of the 2008 crisis where many investors sold out during the drop but where unsure of when to get back in as the rise was not as fast as the drop, however for investors who simply waited out the crisis they would have been relatively back to their previous levels after a year and a half. 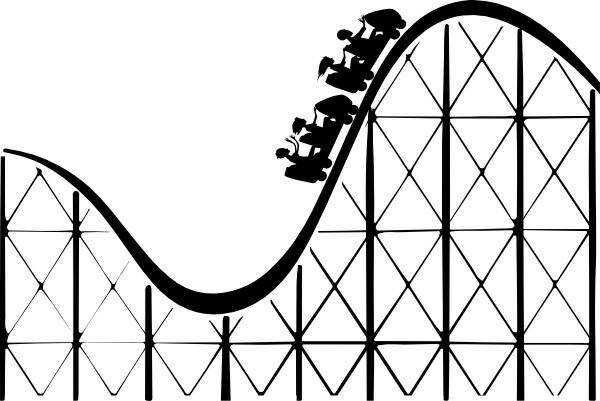 However, for those situations where you’d rather spectate from the sidelines and not have to worry about market volatility, here are some mainstream avenues investors turn to when markets are a bit too volatile for their liking. 1. Cash – About as safe as you can get, but putting your money in the bank is not going to produce much return, if any. 2. Bonds – government bonds and more specifically U.S. Treasuries are considered a go-to safe haven, but with interest rates set to rise and low rates of return this sector looks about as unattractive as it has been in decades. 3. Gold and other precious metals –Traditionally, gold has been negatively correlated with market performance, and this reflected well during the ’08 financial crisis. However, over the past few years, this hasn’t been the case and doesn’t seem to change anytime in near future. 4. Utility funds – Electricity and natural gas providers usually don’t move one way or the other too fast, and in some cases investors may be looking for just this. Markets may be all over the place, but it doesn’t stop people from going home and turning on their lights,TVs, and cooking stoves. 5. For investors looking to capitalize on volatility more than avoiding it, volatility funds and short ETFs may be the avenue to pursue. Just be careful as both are highly volatile as well as horrendous strategies for long term investments. Whether you like it or not, investing is affected by emotion and other psychological factors. It is important to recognize that certain types of investments are more volatile and risky than others. If you are concerned about volatility in the markets or in your investments, feel free to contact us. An experienced professional firm can help you remove the emotions from your investments that are hurting your returns. If nothing else, it will help save your nerves as well.